Supercharge your mornings with Super soft Idli and Crunchy Dosa. 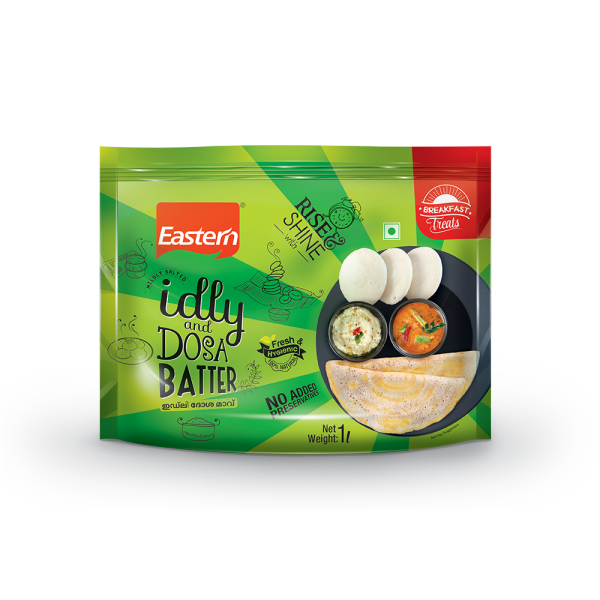 With our Pan Ready, Idli Dosa Batter cooks your breakfast real Quick. - Mildly Salted Idli and Dosa Batter. Mildly Salted Idli and Dosa Batter.